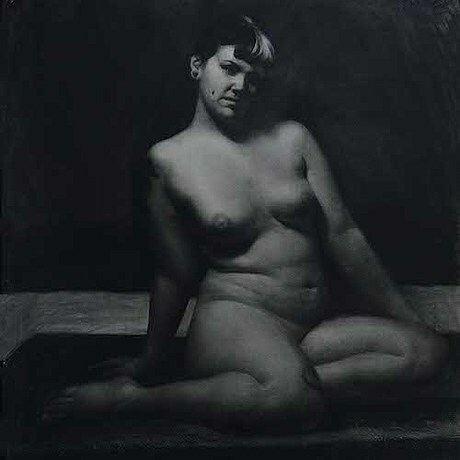 tattoo female , choral on paper, 30" x 30"
YIGE XIE born 1993 in Shandong, China. She is a San Francisco - based artist. The new painting I am working on is about myself reflection. The main subject matter is my mom. When I was painting her, it is a self-reflection. I can see my self though my mom and I also trying to painting refection from real life. I used small brushes and thin paints to built each painting. The color of each painting have different mood in it. The same as life, sometimes are happy sometimes are sad.